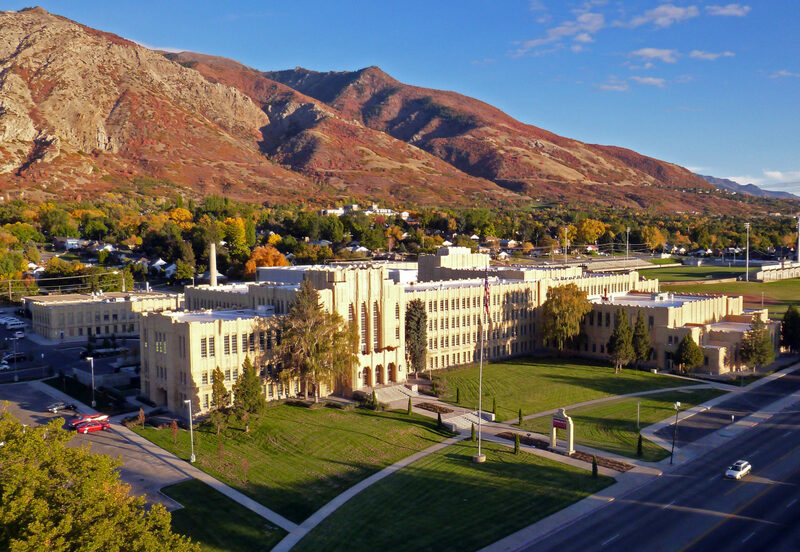 Originally built in 1937, many regard Ogden High School as the best example of Art Deco architecture in Utah, and one of the most beautiful schools in the United States. 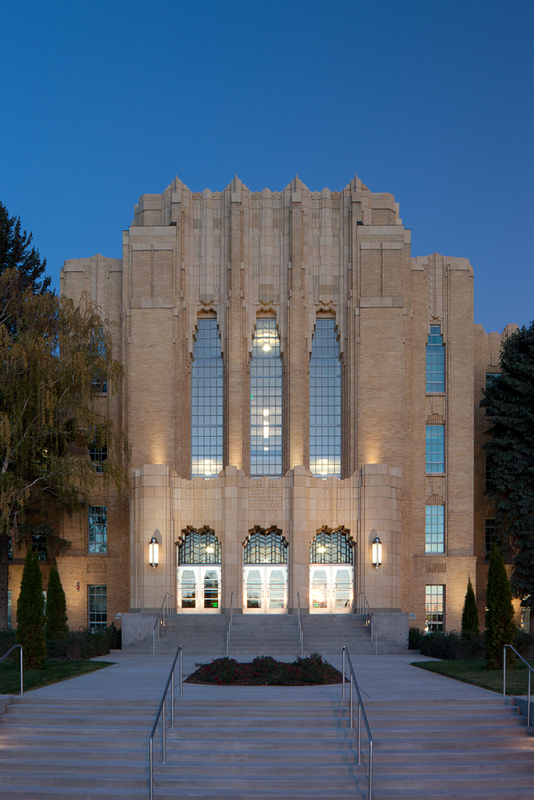 In leading the renovation and restoration of this landmark building, EDA provided comprehensive programming, master planning and design services, transforming it into a state-of-the-art learning environment. 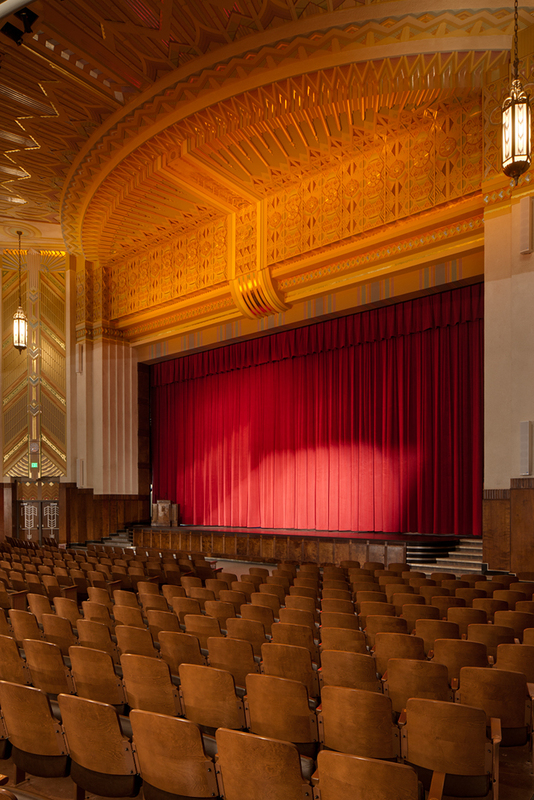 The renovation and addition involved the restoration of the historic auditorium, a seismic upgrade, and strategic repair of the exterior of the building. 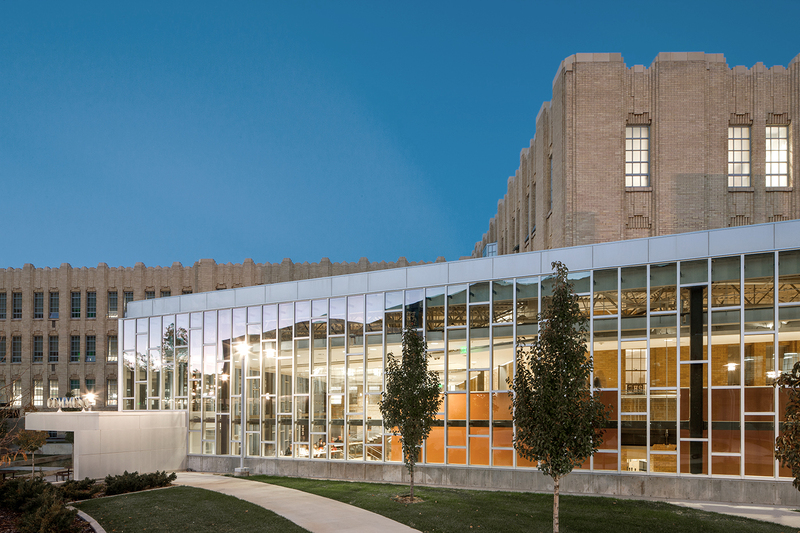 EDA also designed a new multi-floor athletic center, a dramatic expansion of the cafeteria and common space, a cutting-edge science center and performing arts center, and a landscaped courtyard and quad at the center of campus. EDA played upon the symmetry, axial disposition and articulation of the original Art Deco design. The new athletic center stands on the major axis of the original building, defining a fourth corner of the new outdoor quad. A transparent curtain of glass encloses the new commons space, providing views to the quad and the mountains east of the campus. 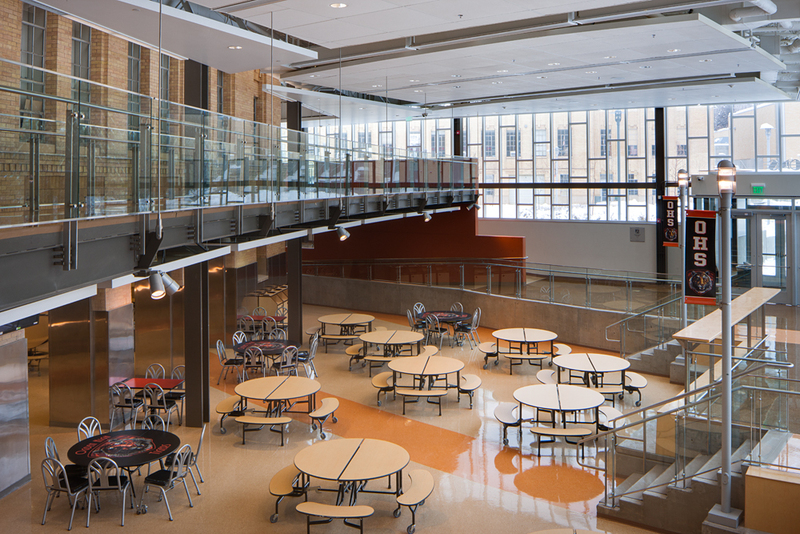 As the “living room” of the school, the commons creates a café atmosphere with built-in banquette seating and informal gathering and study areas around the perimeter. The commons’ curtain of glass is an evocation of contemporary design, articulated to mimic the beautiful stainless steel transoms and decorative grilles of the existing building.